The ProTaper Micro Handlebar kit was designed to revolutionize the way youth riders control their off-road motorcycles. 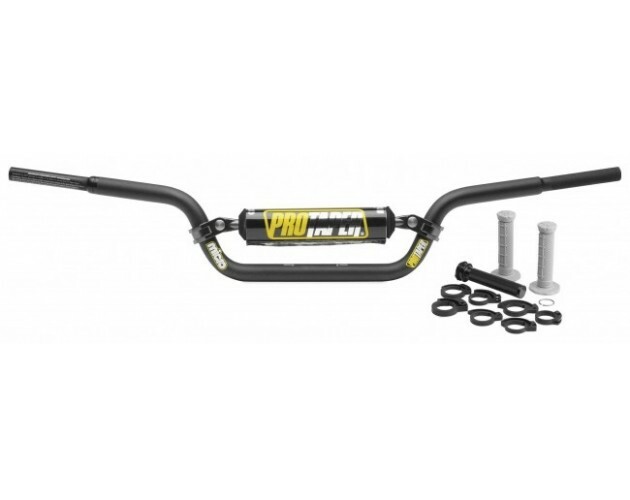 By employing recent advances in manufacturing techniques, ProTaper has innovated a handlebar conversion kit that offers a reduced diameter handlebar for youth riders to better grasp while riding and racing. By reducing the hand-hold area, youth riders can now grasp the reduced size grip the same way an adult rider grasps traditionally sized grips. This gains more control, drastically reduces fatigue, and ultimately gives younger riders the opportunity to ride and race to their full ability. 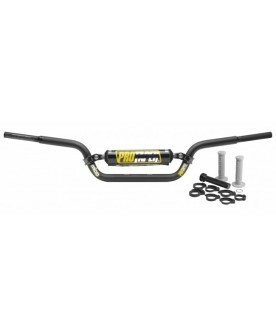 The unique design of the Micro handlebar utilizes an advanced, abrupt-taper, to give it a smaller diameter in the hand-hold areas while still maintaining a 7/8” diameter throughout the clamping and control areas; making it simple to directly install onto any make or model 2-stroke mini cycle of 85cc and smaller. Kit comes complete with all necessary parts to complete conversion.